TGS Training is one of Kent’s highest regarded providers of manual handling training courses in Kent and offers crucial health and safety training for all organisations. With manual handling playing such a central role in occupational safety, TGS Training has developed Manual Handling Training courses which offer both relevant theory and practical skills. Our Manual Handling Courses in Kent take place within realistic training environments and are run by our highly experienced and skilled instructors who will train your staff to an excellent standard of occupational safety. The quality of our Kent Manual Handling Courses is reflected in the high attendance rates for our re-certification programme, with the majority of businesses upholding their certifications on a three-year cycle. TGS Training can help most Kent business maintain effective and successful safety procedures and strategies. This course is to provide delegates with foundation knowledge on manual handling. 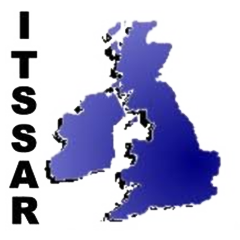 On successful completion of the practical assessment delegates will be awarded a ITSSAR Manual Handling Training certificate, valid for three years. Browse our range of courses – if you can’t find what you’re looking for, contact us with your safety training needs.